Uncontacted peoples are communities who live without significant contact with globalized civilization, most often by choice. Although we commonly call them ‘uncontacted,’ a more accurate description is probably ‘voluntarily isolated’ or ‘withdrawn’ or ‘evasive.’ They live in the Amazon Rainforest, the island of New Guinea, and on India’s North Sentinel Island. Survival International reports that about one hundred groups around the world prefer to be left alone. Knowledge of the existence of these groups comes mostly from encounters with neighboring tribes and from aerial footage. These maps won’t help anyone make ‘first contact’. But they will help to stop oil companies and loggers from invading the lands of uncontacted tribes. 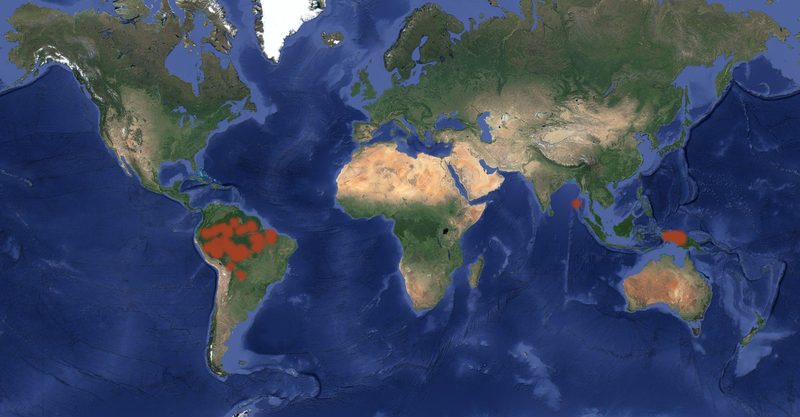 These maps show the territories of uncontacted tribes around the world. The territories are typically thousands of square kilometres in size, and the locations are deliberately approximate. No one should go to tribes which aren’t in regular contact with outsiders. It’s dangerous for everyone. Learn more about the work being done to protect the tribes and their land by Survival International. The approximate locations of uncontacted tribes around the world. 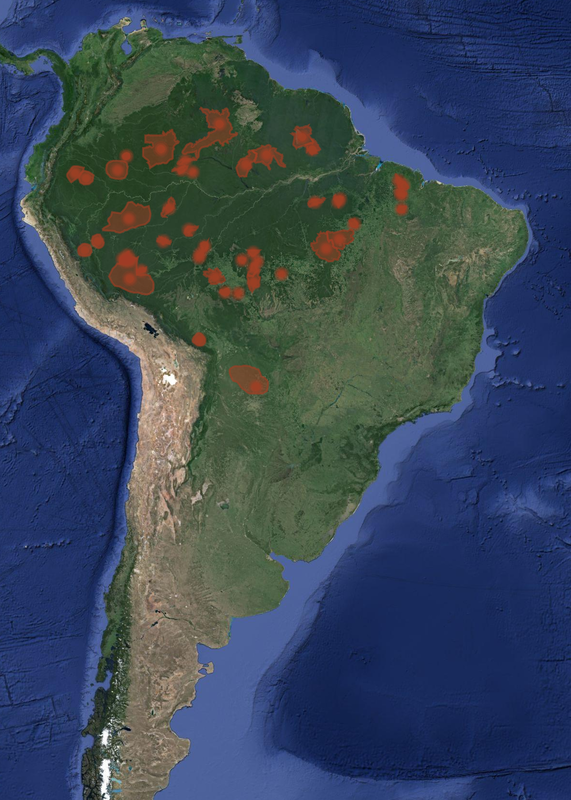 The approximate locations of uncontacted tribes in South America. 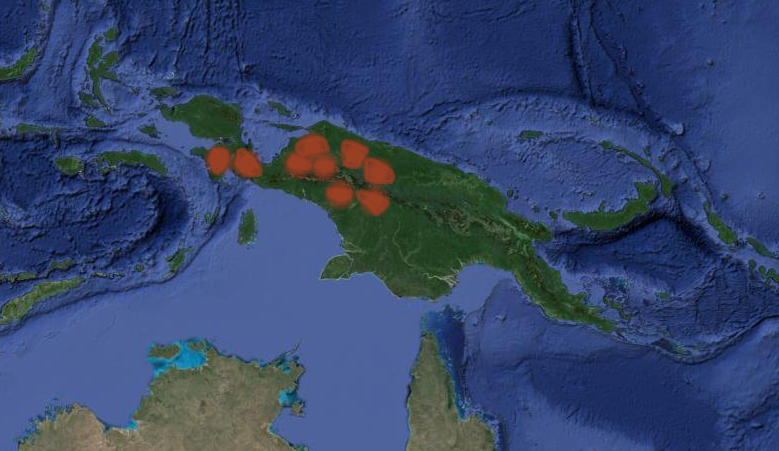 The approximate locations of uncontacted tribes in New Guinea. I suspect that one of the most important reasons for leaving them alone is not to expose them to new infectious diseases. There are more uncontactable tribes than I thought. I have assumed that most of these cannot be contacted because they are so aggressive towards outsiders. If someone wants to join civilisation, they have to leave the tribe?